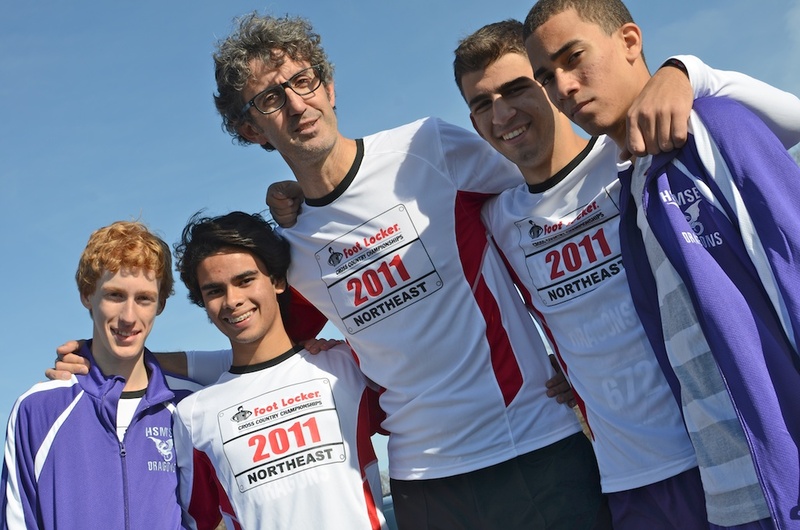 Our purpose The goal of the Flying Dragons is twofold: to expose new HSMSE students to the sport of distance running, and to push our most talented runners to their limits through inter-scholastic competition in the Public School Athletic League (PSAL). 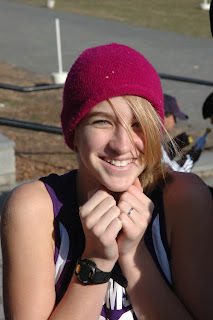 Tryouts To participate safely, runners must be able to keep up with the group as we traverse the west side of Manhattan and the trails of Van Cortlandt Park. Incoming freshman will be asked to run a one-mile route on the league course in Van Cortlandt Park and complete a three-day probationary period. 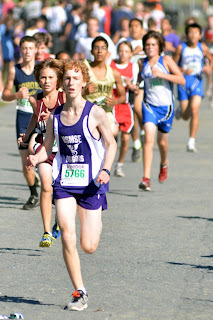 Older students must complete a one mile run in 6:20 to 6:35 (boys) or 7:55 (girls). All tryouts happen AFTER the required PSAL Parent Permission form and PSAL Sports Medical forms have been filled out, turned in, and verified by the coach. 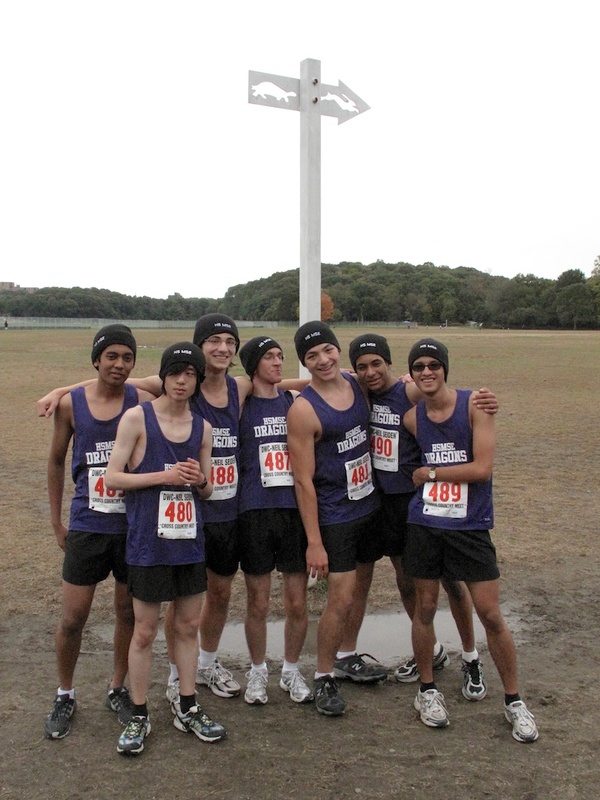 Tryouts for current students are held each June for the fall Cross-Country season. Regular practices Full practices will be held this fall on four weekdays at 4:00pm according to the calendar on the website. We will end as close to 6:00pm as possible, but make sure that your parents understand that you will often not leave school before 6:30pm because of the time required to cool off and change. Weekend practice Of the nine Saturday meetings during the school year, most are races, and the remainder are practices held at Van Cortlandt Park in the Bronx. Those are generally 9:00am to 11:00am, but there are exceptions. There may be one Saturday off due to a Sunday race. Always consult the team calendar on this website for the most up-to-date information. Weather Practices are held in all weather conditions except when there is visible lightning. Practices will be held in the rain unless the temperature drops below 50ºF. Temperatures above 90ºF do not cancel practice but will result in modifications. Attendance Runners are expected to attend every practice, or with the coach’s approval, perform an alternate distance run. Being absent from school excuses you from practice, but you still must contact the coach the same day and make up for the running that you missed. Every week there are five practices/races, and that is the number of practices/runs you must do that week. Bear in mind that you are competing against runners who often practice six days every week. Absences Unlike an academic class or club, you are an integral part of the Flying Dragons team. Your absence will be noticed by all, and your own performance will suffer. You MUST inform the Coach BEFORE the start of practice that you will be absent, in person AND on the online form, or you risk being pulled from the next race. Unexplained absences are unacceptable. Race Eligibility Representing HSMSE and The Flying Dragons in an interscholastic competition is a privilege that must be earned. 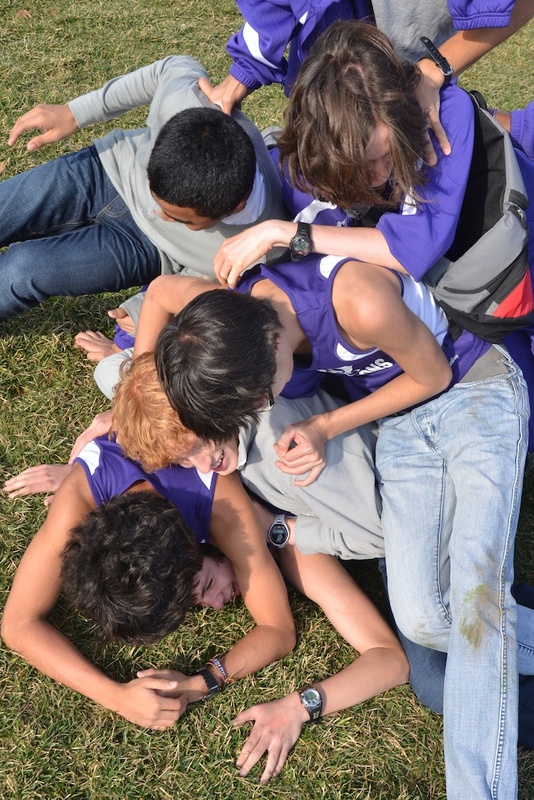 Students with excessive absences will forfeit races at the coach's discretion. Weekday Races There are six weekday races that may require you to leave your last class at 2:45pm. You will meet the coach in front of school at 2:45pm fully prepared to depart. You must wear your race uniform under your school clothes as there is no place to change, and no time to do it. 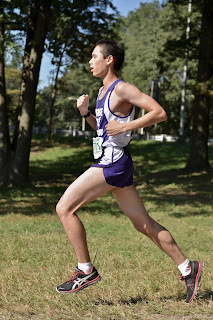 Team members not running that day will stay in class and report to Van Cortlandt Park by 4:00pm wearing their practice uniform under their clothes. There may be a practice following these races. Weekend races Runners are expected to be at the meet for the entire event regardless of the time of their particular race. Those who are racing must wear their race uniforms, and those who are not are expected to attend in their practice uniform. First race According to PSAL rules, all athletes must attend 12 coach-supervised practices prior to their first race. Substitute runs do not count towards this requirement. Consequently, runners who start in September usually cannot participate in the team’s first race of the season, Grand Prix #1. Appropriate attire Runners have a uniform that is worn both out of tradition and utility. Flying Dragons are expected to wear appropriate running attire to every practice and competition. Basketball shorts, cotton t-shirts, boxers, and general purpose athletic clothing are strongly discouraged. This is why Practice and Race uniforms are issued to every runner, although you will want to purchase additional shorts and tops. Practice uniforms These must be worn on weekly Uniform days, Saturday practices, and to races if you are not eligible to run that event. Also, new runners wear the practice uniform in their first race, after which they are eligible for a race uniform. Note that although they can be machine washed, uniforms are NOT to be dried in a clothes drier. Race uniforms These are to be worn ONLY at races. They are not to be worn at practice, at school, or while otherwise running. They also may not be worn if you are ineligible to participate in a race, even though you must attend the event. Race singlets will be worn tucked into the waistband of the race shorts during races. 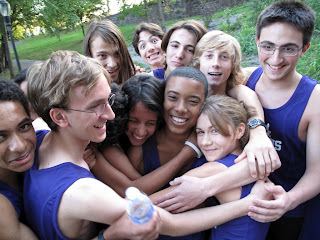 League rules also require that you leave your singlet on for the duration of the entire event- from first to last race. 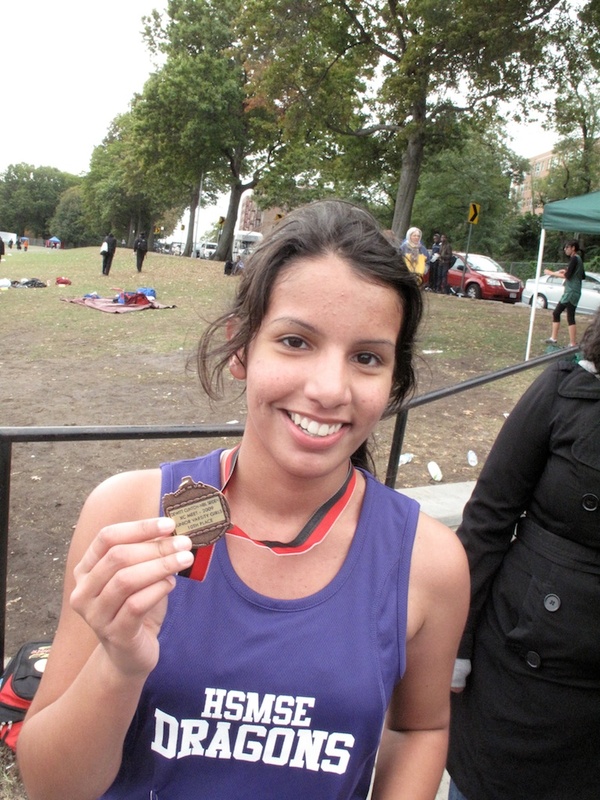 Jewelry PSAL, USATF, and NFHS rules forbid the wearing of jewelry during Cross-Country races. An exception is made for religious medallions that must be taped to the skin with athletic tape. Another exception is made for watches used for timing. A violation will disqualify you from competition. Electronics Phones, music players, and the like are not allowed during HSMSE practices, races, or other events. Ask the coach if you need to make a call to a parent. They can distract you and create a safety hazard, and also separate you socially from the team. The coach also strongly discourages you from wearing earphones while running anywhere in New York City due to the hazards involved. Cuts Runners who do not attend with sufficient frequency and effort to participate safely and contribute to the team will be cut from the team. This page lists required meetings, practices, and races, and failure to meet all those requirements, except in exceptional circumstances, will result in removal from the team. Lastly, students who are deemed ineligible for two races in a row, or three in the season, will be cut from the team. Communications Coach Henning can be reached by email at thenning@hsmse.org, and by text or phone before 10:00pm most evenings.